29-Year-Old Man Shot in Head in Stoughton, Mass. Katelyn Flint reports from Stoughton, Mass., where an overnight shooting left a man with life-threatening injuries. 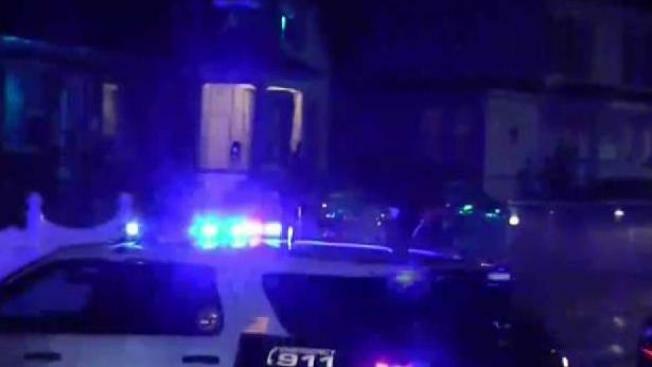 A 29-year-old man suffered life-threatening injuries after he was shot in the head Sunday night in Stoughton, Massachusetts, according to police. Shortly after 10 p.m., the Stoughton Police Department responded to a call of a shooting on 420 Pleasant St. There, they found a man near the back stairs suffering from a single gunshot wound to the head. Officers immediately helped the victim as they waited for paramedics to arrive at the scene. The victim was then rushed to a Boston hospital, police said, where he is listed in critical condition. Although officials did not release the victim's name, they did say he is a 29-year-old man. Authorities said they believe the shooting was targeted. State and local police are investigating the shooting and ask the public to avoid the immediate area.